With a single 25 x 96-foot greenhouse, Bob and Jeanne Fessler started Woodburn Nursery & Azaleas in 1967. Today, the multi-generational operation includes 400 acres of nursery production, including 100 acres dedicated to greenhouse production. Along the way they’ve had their share of successes and growing pains that led the operation to focus on efficiency. Such efficiency is the hallmark of an organization that learned it had no other choice during the energy crisis of the 1970s. Surging oil prices were associated with an increase in the price of natural gas, which Woodburn Nursery & Azaleas uses to heat their greenhouses. Woodburn Nursery & Azaleas was one of the first greenhouse operations to start utilizing double-layered polyethylene sheeting on its greenhouses rather than fiberglass. The change helped the nursery to reduce its use of natural gas to heat the greenhouses by nearly 25 percent. With one crisis in the rearview mirror, another arose. On May 30, 1979, just two days before Woodburn Nursery & Azaleas planned to double the size of their operation by taking over neighboring Salem Nursery, an electrical fire started in a greenhouse. Two greenhouses of newly rooted cuttings were destroyed. The fire caused a major setback in the nursery’s operation and production process, taking two years to fully recover. But with a strong support network of family and friends, Woodburn Nursery & Azaleas was able to rebuild and replant, obtaining new azalea cutting from Salem Nursery. As the operation grew, the Fesslers’ five children began assisting at the nursery on weekends and during holiday and summer breaks. Today all five of the Fessler children work at the nursery: Tom is the operations manager, Rick Fessler is the azalea production manager, Karen Jaeger is bookkeeper, Sandy Traeger is a CPA and Jodi Arritola is human resources. The business has kept the family close-knit, each of them willing to help the other when necessary. The Fessler family values were incorporated into the Woodburn Nursery & Azaleas business, benefiting all who are involved in the company—including their 200 employees. Woodburn Nursery & Azaleas takes pride in treating their employees as they would want to be treated, and it shows. They have employees who are approaching a 40-year anniversary with the company, and others approaching 30 years. Many have served 20 to 25 years at Woodburn Nursery & Azaleas, and they are all recognized at the company Christmas party each year. Bob and Jean’s sons and daughters were taught at a young age to be willing to do anything themselves that they would ask their employees to do. 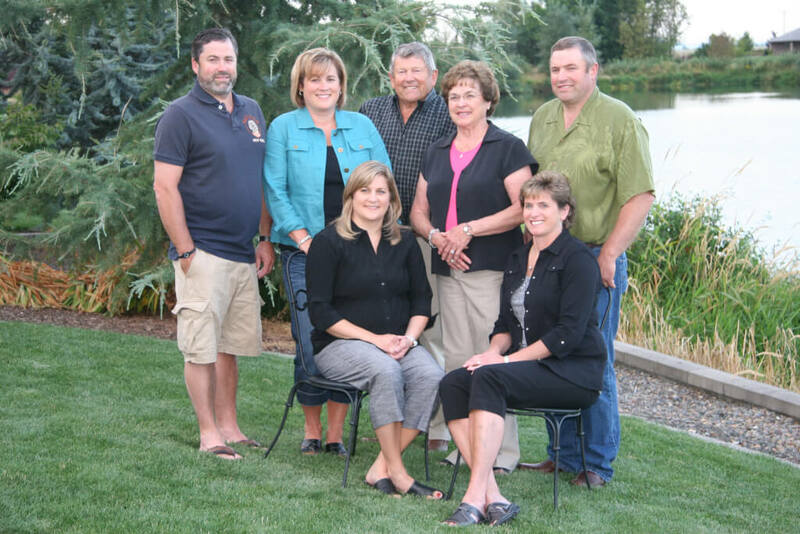 The Fesslers know how important a stable family life is and strive to be flexible with their employees so their family needs are met. Each family member does not hesitate to provide hands-on assistance on a daily basis, and they are committed to providing a safe working environment. “This type of business has offered us the opportunity to become close to many of the employees—especially those that have a long-term commitment to our business,” says Tom. “We believe in treating our employees good, as we appreciate the service they provide to us,” he says. The Fesslers also give back to their industry. Bob was recently given Lifetime Membership by the Oregon Association of Nurseries (OAN) for his support over the past 45 years. Tom is a past president of the OAN and currently sits on the Oregon Department of Agriculture’s State Board of Agriculture, while Jodi is a current member of ABC’s Safety Committee. Many of their employees can be spotted on committees with various agricultural organizations throughout Oregon. 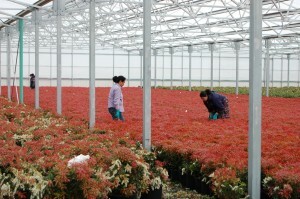 At the end of the day, though, Woodburn Nursery & Azaleas’ number one priority is to grow plants of quality. “We focus on technique, quality labor and keeping up with the technology to ensure we have the best possible product going to our customers,” says Tom. By the mid 1990s the entire nursery facility was converted to computerized sensors. As with their other energy efficiency projects, the Fesslers started small, learned from their mistakes and gradually expanded the new technology throughout the nursery. In 2000 Woodburn Nursery & Azaleas started a pot-in-pot operation, which is considered cutting-edge for shrubbery. Pot-in-pot production aids in root protection from the heat and cold, plant stability and plants can overwinter on-site. “My dad has always tried to be cutting edge on quality and we try to mechanize as much as we can,” Tom says. Once a material is potted, it is all handled with forklifts so nothing has to be picked up by hand, increasing production and making labor easier for employees. Woodburn Nursery & Azaleas’ plants are sold wholesale nationwide and in Canada, and also retail at Al’s Garden Center, Safeway, and Costco stores. Their sales are 45 percent azaleas, 50 percent nursery stock and 5 percent annuals. To meet the needs of their customers, they have diversified their product line and size offerings—from field-grown ornamentals to field-grown rhododendrons. They try to be one step ahead of the competition and are willing to try new things to stay ahead in the market. It’s Woodburn Nursery & Azaleas’ flexibility to meet the needs of their customers and their employees that has kept them in business for 45 years. With a strong family support system and dedicated employees, not even a fire can bring them down.